William B. Eerdmans Publishing Company, 9780802869319, 736pp. Using a combination of literary and archeological evidence, this in-depth, illustrated book documents the development of Christian practices and doctrine in Roman Africa -- contemporary Libya, Tunisia, Algeria, and Morocco -- from the second century through the Arab conquest in the seventh century. Robin Jensen and Patout Burns, in collaboration with Graeme W. Clarke, Susan T. Stevens, William Tabbernee, and Maureen A. Tilley, skillfully reconstruct the rituals and practices of Christians in the ancient buildings and spaces where those practices were performed. Numerous site drawings and color photographs of the archeological remains illuminate the discussions. This work provides valuable new insights into the church fathers Tertullian, Cyprian, and Augustine. Most significantly, it offers a rich, unprecedented look at early Christian life in Roman Africa, including the development of key rituals and practices such as baptism and eucharist, the election and ordination of leaders, marriage, and burial. 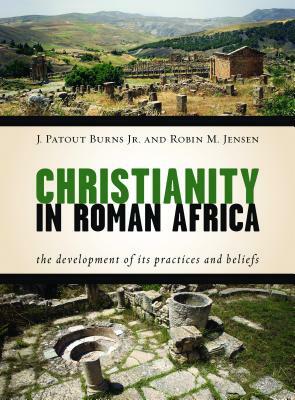 In exploring these, Christianity in Roman Africa shows how the early African Christians consistently fought to preserve the holiness of the church amid change and challenge. J. Patout Burns Jr. is the Edward A. Malloy Professor Emeritus of Catholic Studies at Vanderbilt Divinity School. His other books include Cyprian the Bishop and the Church's Bible volume Romans: Interpreted by Early Christian Commentators. Robin M. Jensen is Patrick O'Brien Professor of Theology at the University of Notre Dame. She is also the author of Baptismal Imagery in Early Christianity: Ritual, Visual, and Theological Dimensions and The Substance of Things Seen: Art, Faith, and the Christian Community.